Zeer krachtige taclight met een straal van maar liefst 1000 meter, met 3 of 4 cr123 of 2 18650 herlaadbare batterijen geeft deze tot 1200 lumen. Komt in koffer met reserve o-ringen en holster. 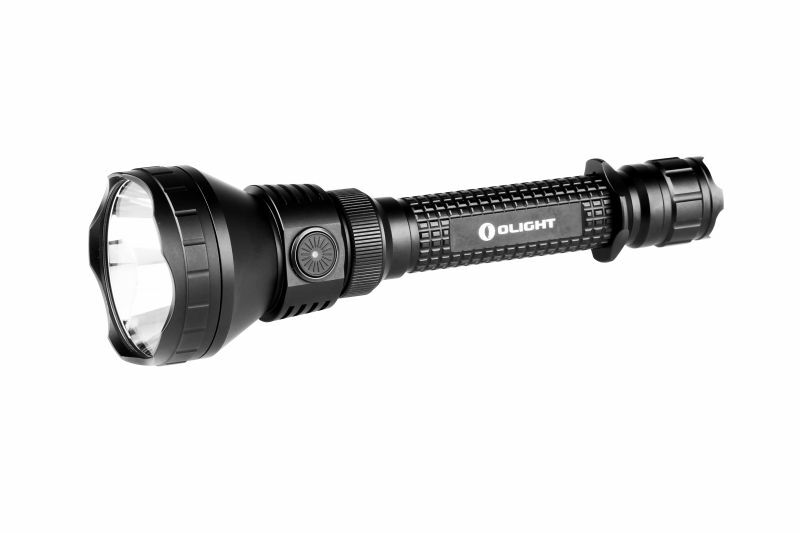 Olight is proud to introduce the new M3XS Ultra-Thrower Javelot extended-range, variable-output, customized Cree XP-L LED flashlight. 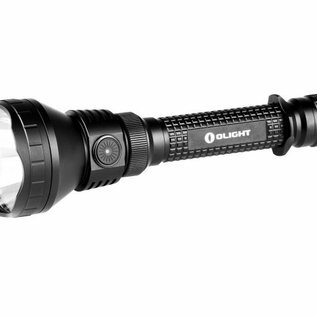 This light has a full kilometre of beam distance, three brightness levels from a minimum of 3 lumens to a maximum of 1200 lumens plus a strobe mode. The M3XS-UT is powered by 3x CR123A batteries or 2x 18650 lithium batteries with the extender tube. This light retains the tail cap switch from the M3X with an added side switch for easy mode switching. Milled from aircraft-grade aluminium with a Mil-Spec Type III hard-anodized finish and is waterproof up to two meters (IPX 8) and comes with two spare o-rings, extension tube, battery magazine, and holster.